It is unfortunate to hear that your newly renovated kitchen floor is cracking. Discontinued tiles doesn't mean that anything is wrong with the tiles. So, I wouldn't worry about that. The tile store was most likely bringing in new inventory. 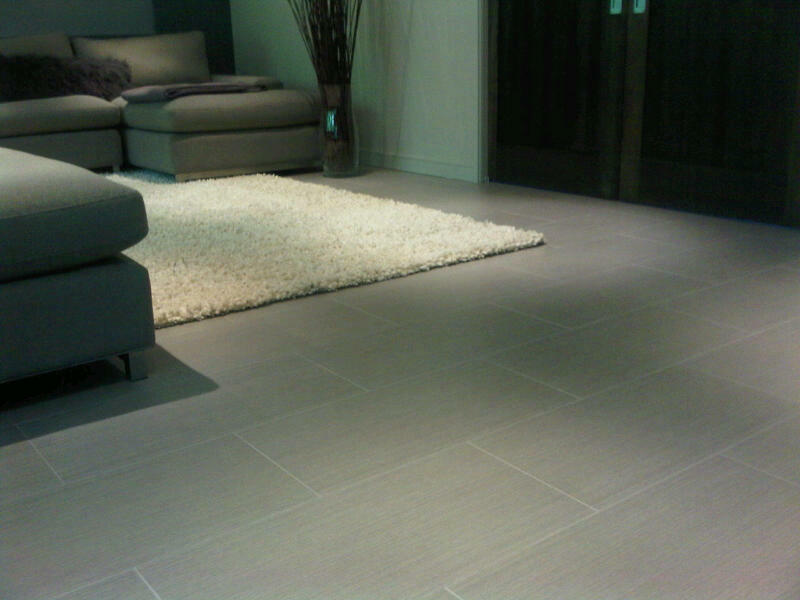 Porcelain is a very durable tile for floor applications since it is madeup of water, clay and quartz ferrous sand materials. 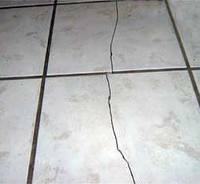 It is common for a ceramic/porcelain tile to crack if the foundation of your house is settling or if it was improperly installed. My thought is that your contractor did not properly prepare the subfloor. You want a level subfloor for ceramic /porcelain flooring. Otherwise it proves unreliable, thus the cracks you have been experiencing. Unfortunatley your kitchen space is done and I really doubt you want to start over and rip up the entire new floor and fix the sub floor. Perhaps, your contractor can come back and rip up the problematic area and level it off so that future tiles do not crack. The other problem you face is that you cannot purchase new tiles since you purchased discontinued tiles.Take a sneek peek under the refrigerator, cabinetry or island to see if any of the tiles were installed under there. Your tile contractor can use those tiles for the subfloor repair and solve your cracking issues! This might be a dumb suggestion for what you want, but you could crack ALL of the tiles into small pieces, and regrout them, for a mosaic tile look. I am going to renovate my kitchen and I would like to find a countertop alternative to granite. Any suggestions? Best designer Natural Floor Tiles, Natural Stone Tiles, Natural Wall Tiles exclusively for your interior floor and wall decoration! Get in touch with us for more details.